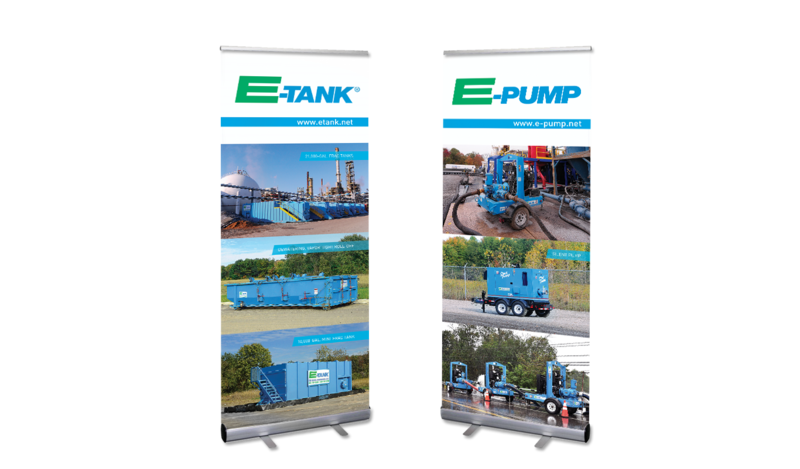 With over 20 years in business, E-Tank and E-Pump’s fleet of Frac Tanks, Roll-off Boxes and Industrial Pumps is always on the move. 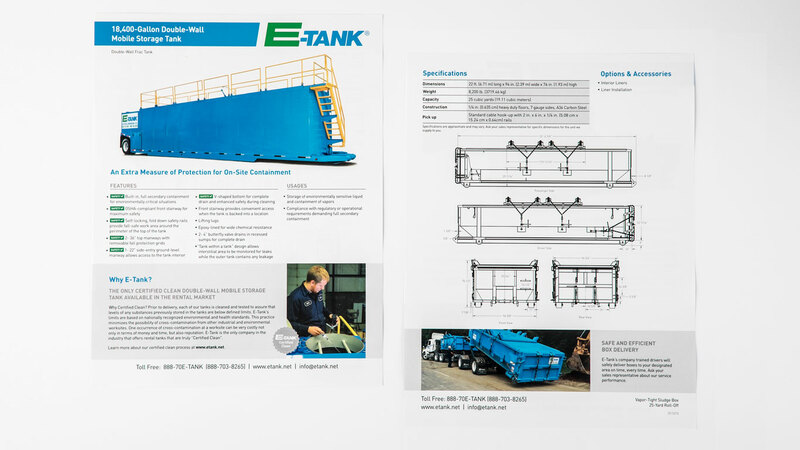 You most likely have seen one of E-Tank’s large blue tanks rolling down the road on the way to its next job. 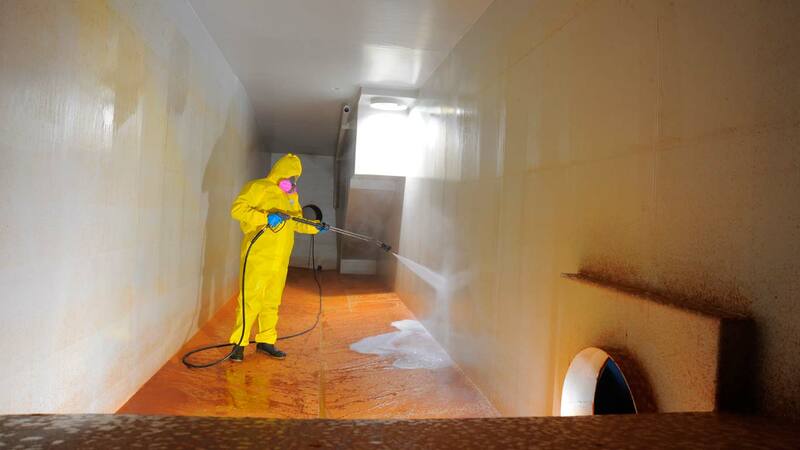 E-Tank deploys equipment in a multi-state area ranging from New York to Missouri. 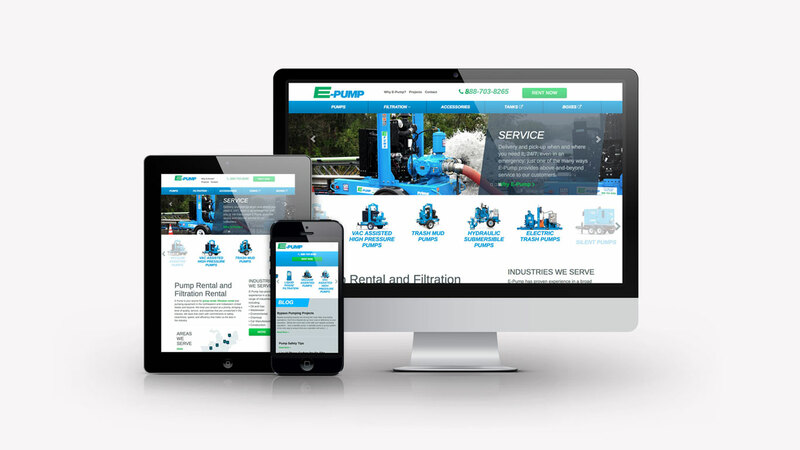 The websites for both E-Tank and E-Pump provide equipment specs, job case studies and a quick quote form to keep business moving. 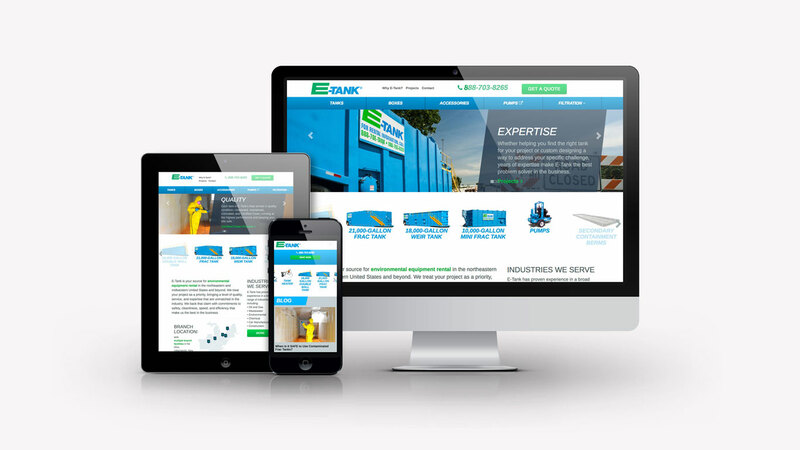 The mobile-friendly design serves customers who are often in the field at a job site and need quick access to information via smartphone. 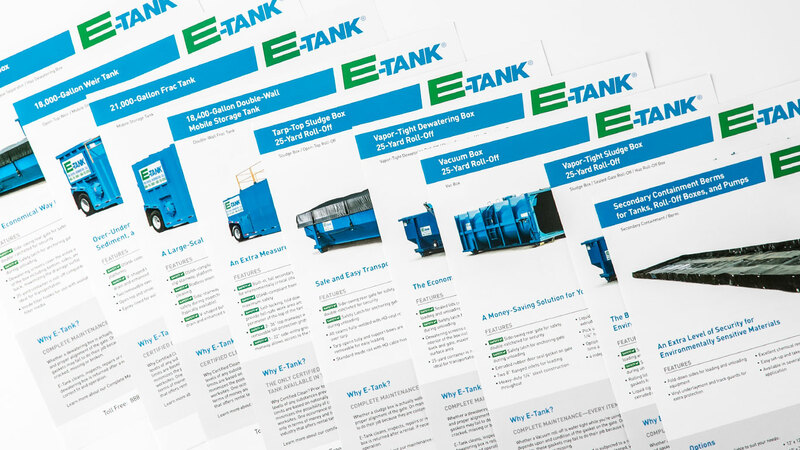 E-Tank and E-Pump wanted to craft marketing brochures that highlight the features that make their equipment rental businesses distinctive: a certified clean process and guarantee, 24/7 emergency response deliveries, customized billing, and much more. 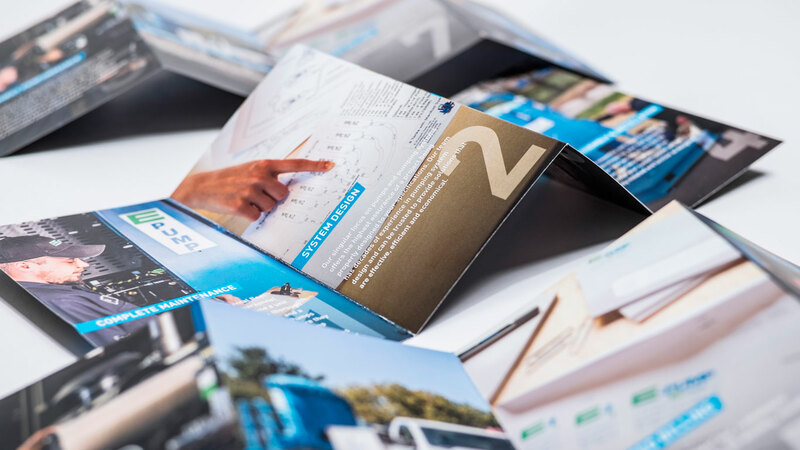 What better way to do this, Cassel Bear thought, than with distinctive print pieces featuring original photography, the brand we helped develop, and a unique size and fold to ensure the brochures wouldn’t get lost amidst other handouts? 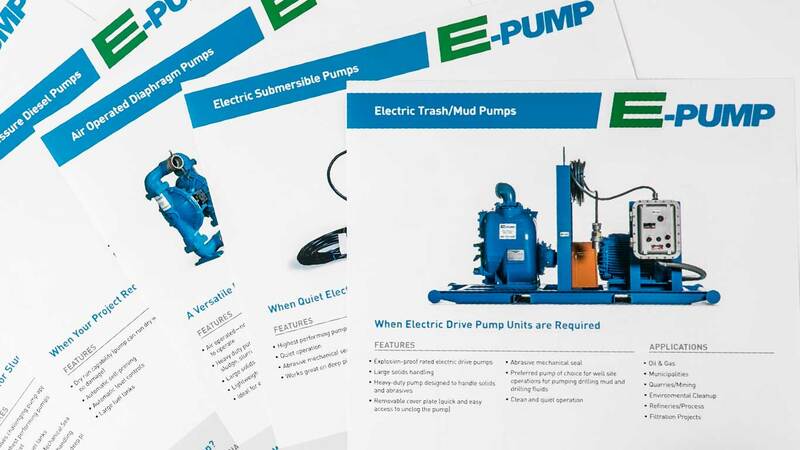 E-Tank and E-Pump approached Cassel Bear, looking for assistance in designing some tools that would assist their salespeople at trade shows or in meetings with potential customers. 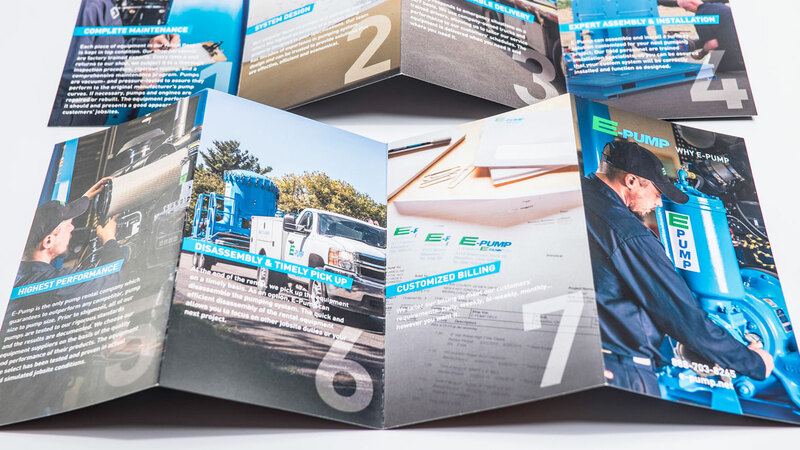 We designed a folder that could be filled with a variety of sell sheets, depending on a customer’s specific needs. 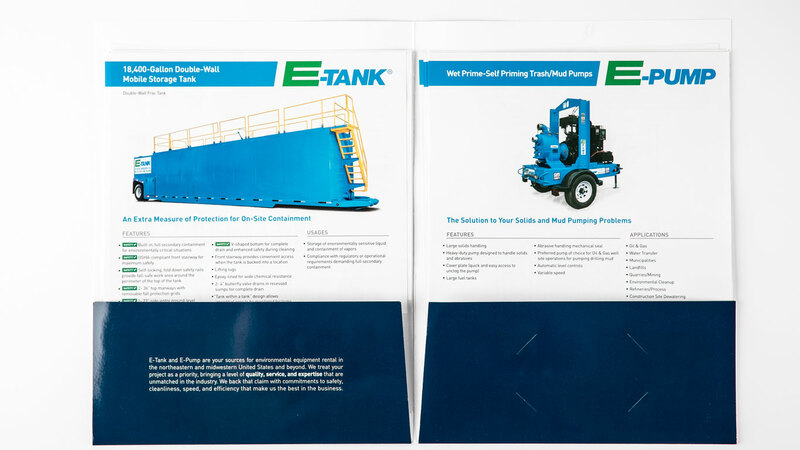 Each sell sheet shows the E-Tank or E-Pump product and includes a wealth of technical information: a footprint of the tank, technical specifications, accessories that might be utilized alongside the product. These details help salespeople and customers determine very exact orders for specialized job sites. Cassel Bear also enhanced these sheets by highlighting safety features and information, and organizing lots of technical information in a clean and easy-to-follow format. 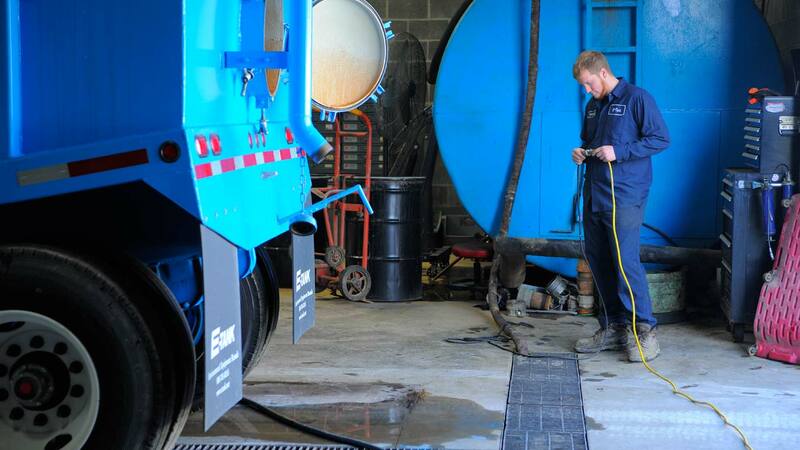 The customer base at E-Tank and E-Pump spans a large range of industries. 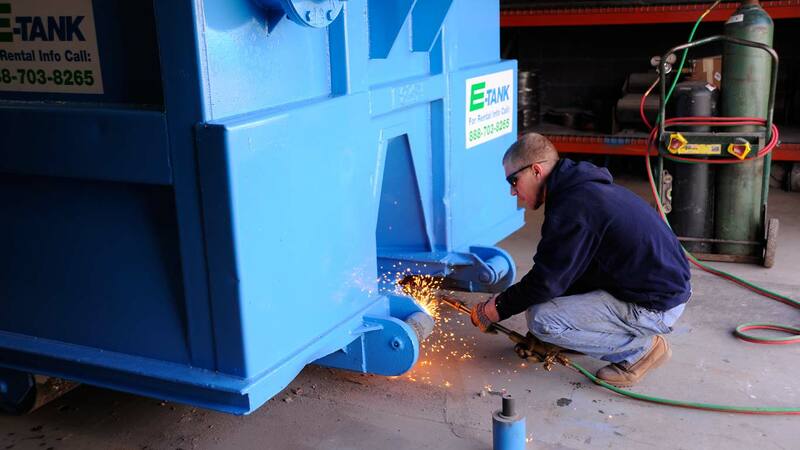 E-Tank’s relentless pursuit of the best customer service in the industry means that they are in demand. One service they provide is an e-newsletter providing useful information to their partners. The sales team at E-Tank and E-Pump are always on the go. 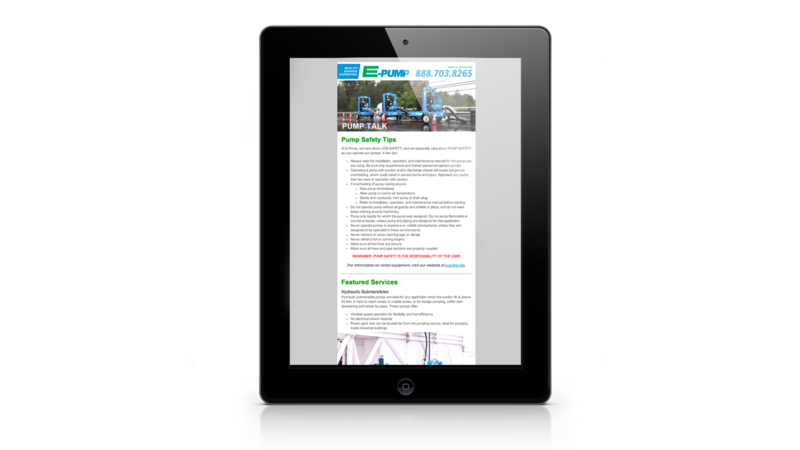 Having an efficient tradeshow system was important to fit their busy day. The banner stand system allows the multi-state sales force to setup quickly at the many events and venues they attend. 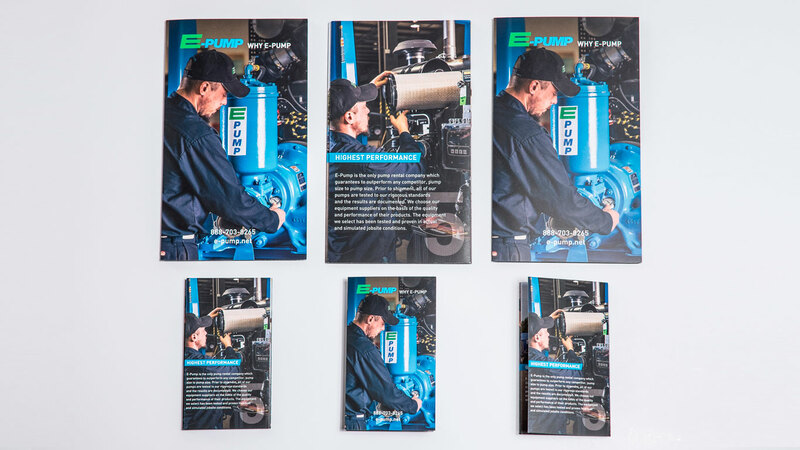 Building an archive of photography for E-Tank and E-Pump was an important step in developing branded materials.